Thank you to all of you who participated, donated time to and came out to be a part of Texas National Night Out 2012. We had a great time! Special thanks to the Bakers and Stefaniaks for hosting. You are the best! 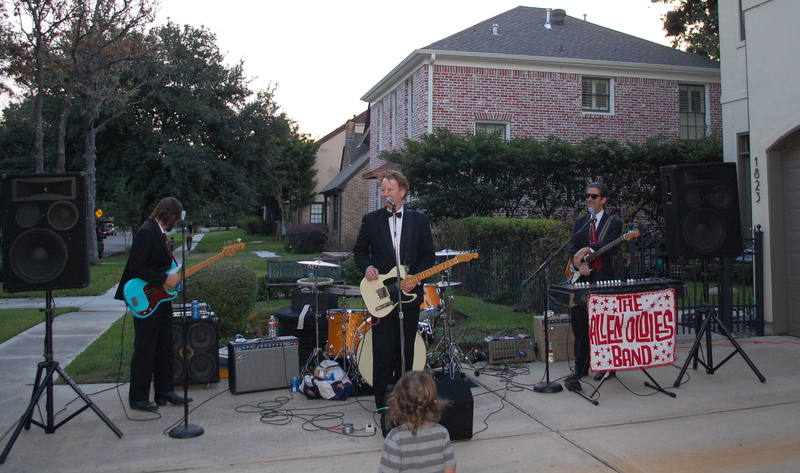 And, to Eric for letting us use his driveway as the perfect “stage” for the second year in a row. 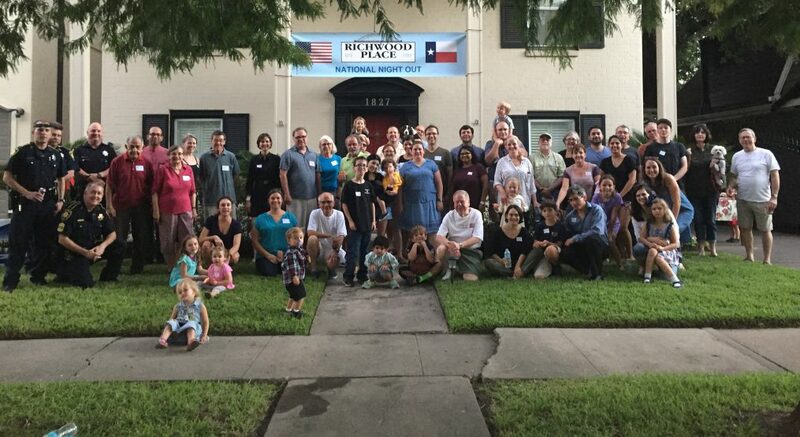 Thank you to Ruth Adams and the Board of the Richwood Place Civic Association for planning, and reaching out to our local government and US government leaders and inviting them to our community event. Thank you to US Congressman, Ted Poe, for attending our event. Thank you to Ellen Cohen’s office for your attendance as well. Thank you to HFD Fire Station 16! We love having you in our neighborhood and really appreciate you taking the time to come out to our events. Many thanks to our great sponsors, Ash Rowell and Duff Beer. You are amazing! Zoes Kitchen. Thank you for the yummy bites. Reprint!- thanks for the great work you do. 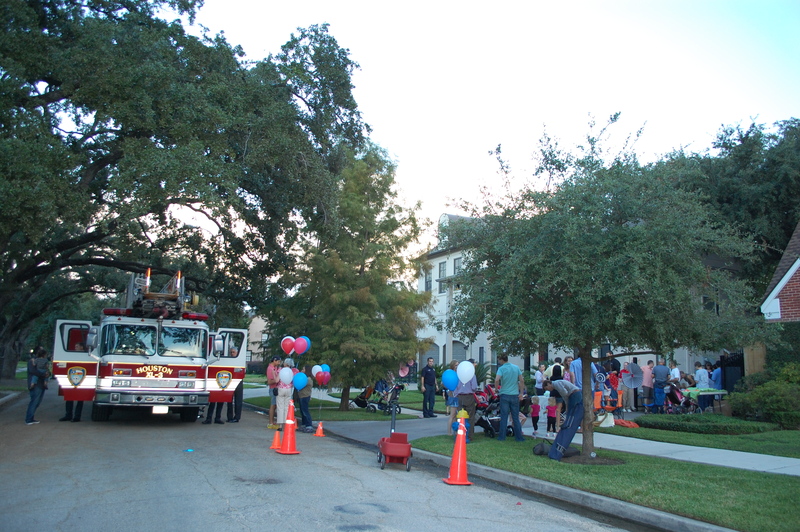 Here are a few pictures from tonight’s National Night Out in Richwood Place. Thank you again to all of you who came out tonight. Our community is better because of each of you. Thank you. If you’ve walked or driven through the neighborhood in recent days, you’ve probably noticed it. It’s mostly in the public right-of-way, on city property. It’s on some business signs and doors. It’s on the phone metal boxes owned by at& t, on polls, signs, walls, etc. I hesitate to say it is everywhere, but it is. It’s everywhere. Graffiti. I can hardly stand it. I’ve called the city countless times. The first step, calling 3-1-1. The city says that in order to prevent graffiti, you must abate graffiti within 24-48 hours. Currently, that is not happening. And, when graffiti is removed, nearby graffiti is ignored. We are working on a new plan to solve this issue. Please read the below article from the city’s website. And, let the board know if you have any ideas to help us rid Richwood Place of graffiti. Note: I intentionally left out specifics about the graffiti from this post including the word that is being used most that begins with the letter “r.” I’ve also been in contact with the HPD gang task force asking for their help as well. 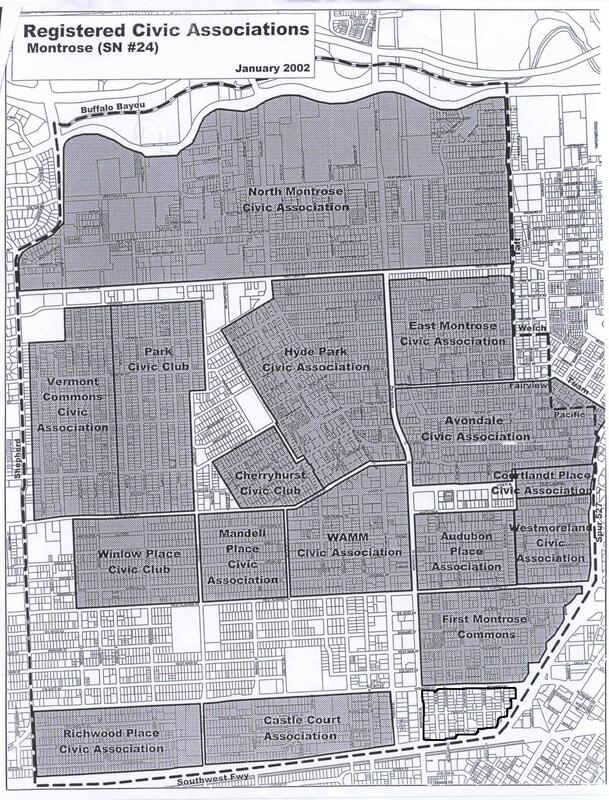 I’ve attached a map that shows registered civic associations in Montrose. It gives a great visualization of the different neighborhoods and the Montrose/Neartown area. You can see RIchwood Place in the lower left. Click to zoom.